Hawke’s Bay Racing is pleased to announce that Royston Hospital will again be sponsoring the Listed Hawke’s Bay Cup on Saturday week. The 2200m event, one of the iconic races on the Hawke’s Bay calendar will again be known as the Royston Hospital Hawke’s Bay Cup and will this year be run for a stake of $75,000, an increase of $5000 on last year. 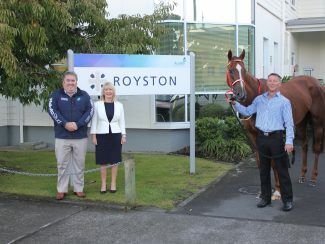 Royston Hospital, which is situated alongside Hawke’s Bay Racing’s headquarters on Prospect Road, has links with the Hawke’s Bay racecourse that date back to 1931. The hospital, which was at that time located in Avenue Road, was severely damaged by that year’s earthquake. Scores of injured flocked to Royston Hospital for medical treatment but, as the building was deemed unsafe, volunteer drivers transported patients and those injured in the quake over broken streets to the racecourse where the disused jockeys’ tea kiosk was converted into a make-shift Royston Hospital. It was used as a disaster relief centre for some time after the quake until the Royston Hospital was built on its current site. 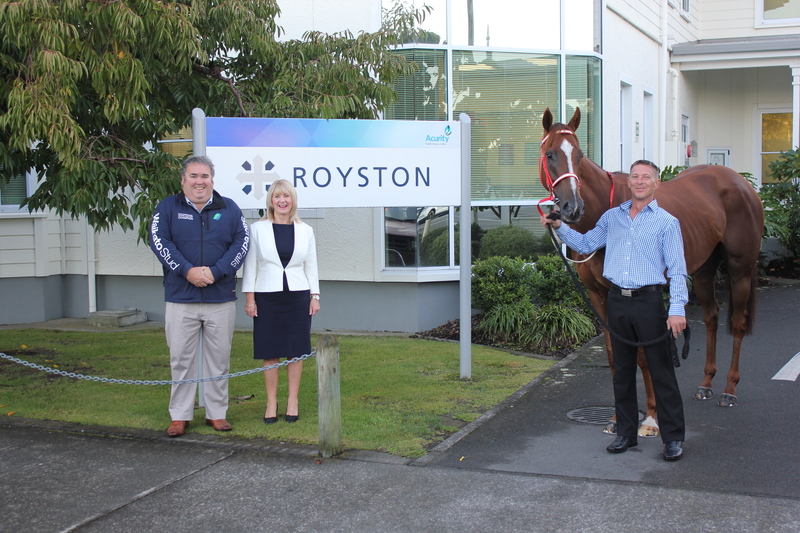 “This community minded spirit has continued with Hawke’s Bay Racing for nearly 90 years and we are delighted to again be supporting our neighbour in one of the main races on their racing calendar,” said Denise Primrose, general manager of Royston Hospital. Royston Hospital is owned by the Australasian company Acurity Health and Castles said last year they had guests from throughout their organisation attend the cup day race meeting. “They had a particularly enjoyable day on course so they were keen to renew their sponsorship,” Castles said. The Hawke’s Bay Cup has always rated one of the most important races run on the Hastings track and has been won by some of New Zealand’s best gallopers. Hi-Jinx won it in 1960 before crossing the Tasman to take out that year’s Melbourne Cup. Glengowan won the race in 1972 and finished a close second in the following year’s Melbourne Cup while Fury’s Order was successful in 1974 and went on to win a Cox Plate in Australia. Mr Brooker won the Hawke’s Bay Cup in 1990 and finished third in that year’s Melbourne Cup while Surfer’s Paradise won in 1993 and went on to win a Cox Plate. Chenille won the Hawke’s Bay Cup three years ago and 11 months later she took out the Group 1 Auckland Cup. This year’s Royston Hospital Hawke’s Bay Cup ooks likely to attract one of the best fields seen in many years. Last Saturday’s Awapuni Gold Cup winner Jacksstar and last Thursday’s Waipukurau Cup winner Toms are the latest two horses to be confirmed for the prestigious 2200m event and are likely to be joined by the likes of Igraine, Felaar, Mental Telepathy, Saint Emilion, Hunta Pence and Real Beach. Castles said a huge day is planned on course for this year’s Hawke’s Bay Cup race day with all of the hospitality rooms fully booked. “There is a big group from New Zealand Contractors Federation Hawke’s Bay in the Karamu Lounge and the East Coast Rural Support Trust will also be staging a fund-raising function for 200 people in the Cheval Room to raise money to support the mental health of rural people,” Castles said. It is envisaged the function will raise in excess of $25,000 for this most worthwhile cause. Sir John Kirwan is associated with the establishment of Acurity Health Group’s soon to be launched private mental health service and together they have donated his services to be a guest for an afternoon, which will be one of the items auctioned at the fund-raiser.